What happens when the weather is terrible and the water is high and off color? Yahoo! 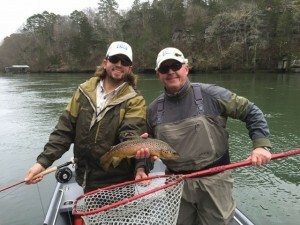 The guides get to go fly fishing!! Old friend, George Born, and new friend, Colt Odie, got to spend a few hours chunking streamers as our guide trips cancelled out due to a bad weather forecast and high, off-color water. 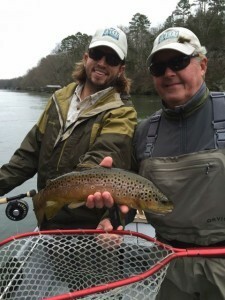 What clients sometimes fail to realize is that poor conditions can often times make for some great fly fishing! 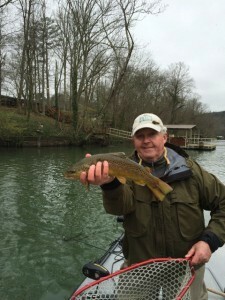 All three anglers nailed several nice Brown Trout on streamers and everyone had a great time. By the way, it never rained a drop! !